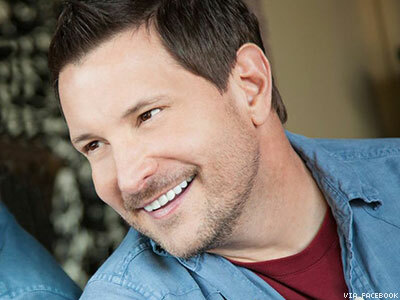 “Today I get to tell the world that I’m an out, proud, and happy gay man,” says Ty Herndon. Country music star Ty Herndon has kicked down the closet door and announced he is “an out, proud, and happy gay man” in a new interview with Entertainment Tonight. "Traditionally in country music, we don't see a lot of support for the LGBT community, but that's changing so much," he told Entertainment Tonight. "Nashville is changing so much. I mean my goodness … Kacey Musgraves won Song of the Year for [the lyrics] 'follow your arrow, wherever it points' and two amazing songwriters that happened to be gay wrote that song." The 52-year-old also opened up about his relationships with his two ex-wives, saying they “absolutely” knew he was gay and that his marriages were used to hide his true sexuality. "I had a lot of people around me that I trusted at a time and I was like, 'Hey, you know this about me but the world doesn't. So I'm gonna need to call on your services for a little while,'" he said. "It was unfortunate that I had to do that, but I felt that's what I had to do to have my career. Standing on some pretty solid legs today, so I get to tell my truth today." Shortly after the news broke that the 52-year-old artist had come out, GLAAD applauded his decision, and noted the barriers his honesty is helping break down for LGBT people. Watch a preview of Herndon’s coming-out story below and catch the full segment on this evening’s episode of Entertainment Tonight.